The seven-year wait for the Ford F-150 Harley-Davidson Edition has come to an end. The 2019 Ford F-150 Harley-Davidson Edition was revealed this year at the Chicago Auto Show. The partnership with Harley-Davidson began in 2000 and has been successful with over 70,000 Harley-Davidson branded F-150’s sold since its first reveal. Previously, the features of the F-150 were most noticeable on the exterior with Harley-Davidson branding. The 2019 version of the Ford F-150 comes packed with many more features that go beyond exterior design. The truck comes with more than 70 exclusive parts that make this Ford and Harley-Davidson collaboration worth looking at. The truck features 22-inch milled aluminum “Fat Boy” style wheels inspired by the Harley Fat Boy motorcycle, LED lightbars, and 35-inch all-terrain tires. It also has a custom dual exhaust that gives this the hybrid exhaust note between high-performance pickup trucks and a Harley-Davidson motorcycle. The engine comes with a 5.0-liter V-8. However, it also has the option to opt-in for the twin-turbo 3.5-liter EcoBoost V6. 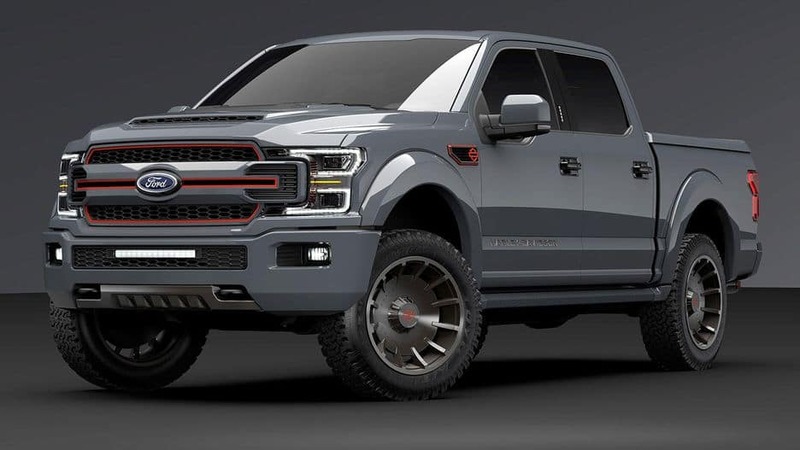 Aesthetically, we can see the Harley-Davidson logo all around the interior and exterior of this 2019 F-150. The leather seats have diamond stitching in orange and the Harley emblem on the tailgate, tonneau cover, seats, floor mats, fender vents, door sills, and center console. The stainless-steel exhaust also displays Harley-Davidson branding, a new hood with ram-air intake, and brand-new door trim. Stay tuned with our latest news and soon well find out if this special edition will be available at Castle Ford.